Being the breadwinner, all Joselito dreamt for his family trampled on the ground. He suffered emotional, psychological and physical pain while he languished in jail. His father died upon reading an irresponsible newspaper that his son would be beheaded. Joselito was detained for more than 5 years without a court hearing. There was no embassy official who tried follow-up on his case. May isang embassy official na bumisita sa akin noong 2000. Parang nabigyan ako ng pag-asa dahil for the first time 3 years may bumisita na taga embassy sa amin. Akala ko lang pala yon. Noong tinawag nya ang pangalan ko ito ang tinanong nya sa akin, “Joselito Alejo anong lahi ang napatay mo?”. Sinagot ko sya “Sir wala akong napatay”. Sabi naman nya “Wag na natin pahabain ang usapan, ano ba ang lahi ng napatay mo”. Umalis ako at baka ano pa ang masabi ko sa official na yon. Bakit kaya sila ganun ? Joselito studied the Holy Quran while he was in Jail and embraced Islam when he fully understood the teachings of Prophet Mohammad. He then won a couple of awards in Holy Quran reading competition in Al Malaz Jail. After almost five years, the newly appointed director of Malaz prison, Colonel Muhana helped Joselito with his case, which apparently had been forgotten. The director found the case file in the police station where Joselito was first detained and interrogated. Joselito appeared in court for the first time on June 11, 2002 and in August 2002, Joselito Alejo and 2 others were acquitted of the crime. The judge apparently accepted that Joselito was telling the truth before the court but he had to receive a number of lashes for signing a false statement during the interrogation process in 1997. Joselito reiterated that he was made to sign that Arabic document to stop the mistreatment inflicted on him. The two others were given the same number of lashes for not informing the authorities about their knowledge of the crime. 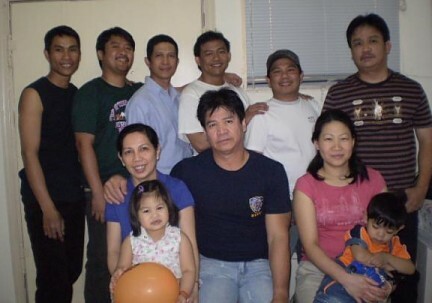 After his release from prison, Joselito was under the custody of the Philippine Embassy in Riyadh for 9 months. He met Dr. Ma. Teresa Buendia of Dr. Sulaiman Al Habib Hospital. The two got married on November 12, 2003 in Manila, Philippines. The couple then returned, worked and lived together in Riyadh, KSA since 2005. Joselito had 2 daughters from previous relationships but he was not legally married to any woman. Joselito and Dr. Tess are kind-hearted individuals and had helped a lot people with their problems. They are also good counselors and advisers to the young Filipinos working in Sulaiman Al Habib Hospital. In August 2007, Balitang Middle East aired the segment “Pangakong Napako“. The segment featured Joselito’s sentiments about his ordeal and the failed promises of President Gloria Macapagal Arroyo. 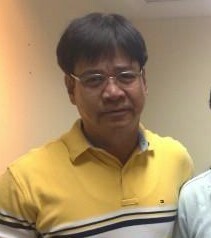 The CMA-OFW-SOS-KSA saw the segment and had arranged a meeting with Joselito which took place in January 2008. The group told Joselito about his right for compensation based on the Articles 210 and 217 of the Law of Criminal Procedure of Saudi Arabia. Article 210: Any acquittal judgment pursuant to a petition for reconsideration must, if the convicted person so requests, include moral and material compensation to mitigate the damage suffered by him. Article 217: If a convicted person is sentenced to a term of imprisonment and has already served part of that term while being detained in connection with the case that has been adjudicated, the period of such detention shall be deducted from the term of imprisonment imposed on the accused. An accused person, who has been harmed as a result of malicious accusation or as a result of being detained or imprisoned for a period exceeding the term prescribed for such detention or imprisonment, shall be entitled to compensation. In February 17, 2008, Joselito met with HRH Prince Salman in the Riyadh Governor’s Palace. The good governor advised one of his staff to assist Joselito in the process of filing for compensation. As of this writing, Joselito is in the final stage of getting his compensation from the Saudi government.